Highest and Best offers should be submitted by 5 p.m. Friday, 2/1/19. 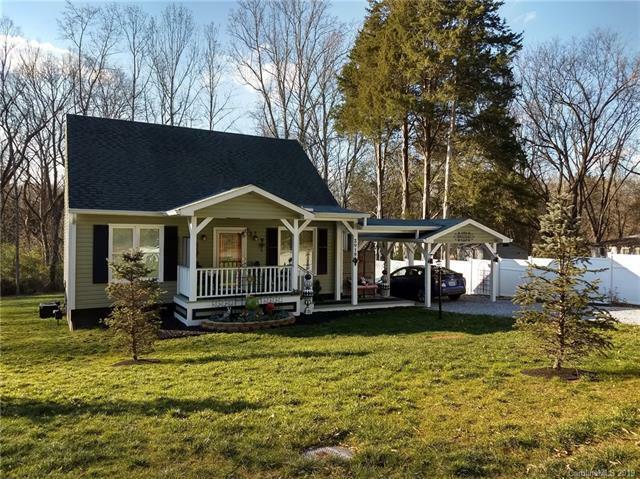 Delightful cottage tucked away in a quiet neighborhood adjacent to a natural area at Catawba College, a short stroll to the V.A. Hospital and close to shopping and Novant Medical center. Meticulously maintained - the owner has taken great pleasure in making this a perfect retreat. The screened porch really expands the living area. Don't miss the VisualTour!! (cut and paste this url to your web browser address bar: https://view.paradym.com/showvt.asp?sk=301&t=4298675 )The "gazebo" floor is a circle of concrete with handsome pavers in the center. Some exterior furniture and the office desk may be negotiable. The furniture fireplace in the living room and the fireplace on the porch do not remain. While you would never know it's there, the central vac system does not remain. The only decorative exterior privacy screens remaining are those at the side of the screened porch.